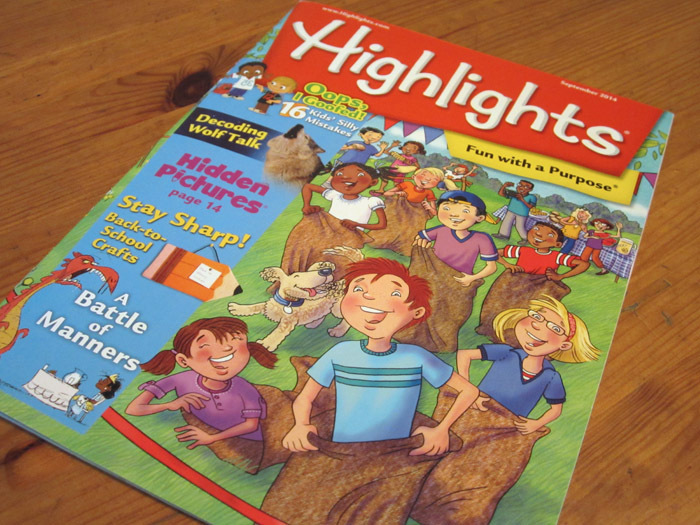 I have two illustrations in the September issue of Highlights magazine! 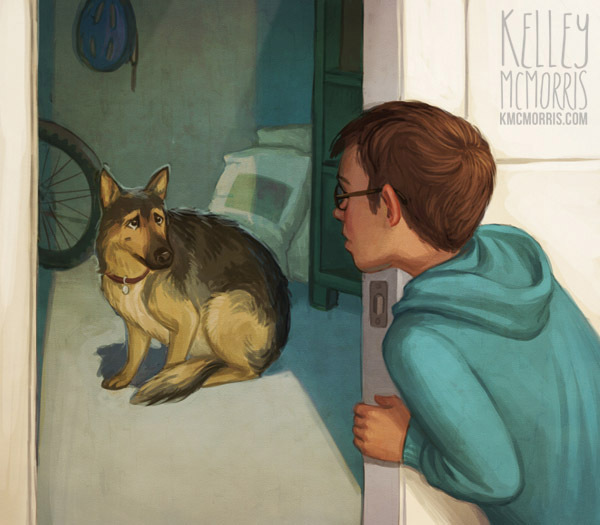 This story is about a boy named Bailey whose family adopts a hyperactive German shepherd named Thunder. Bailey is intimidated by the large dog. One day a thunderstorm is raging outside, and Thunder is barking inside the garage. At first Bailey is irritated and yells at the dog - until he realizes Thunder is just scared and needs a little kindness. 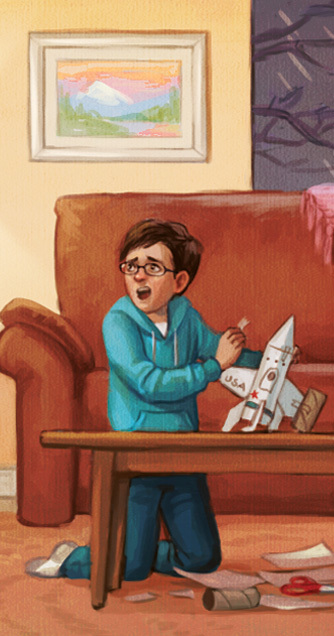 The art director specifically asked for one of the drawings to look like a cutaway of a house, so we could see the living room and the garage at the same time. 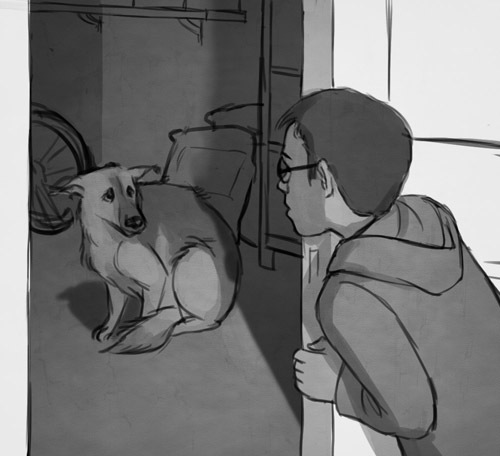 I used contrasting warm and cool color schemes to emphasize the loneliness of the garage. I also gave the characters contrasting color schemes in order to make them stand out - Bailey is cool in a warm room, and Thunder is warm in a cool room. Just to amuse myself, I put Thomas Kinkaid-esque landscape on the living room wall. 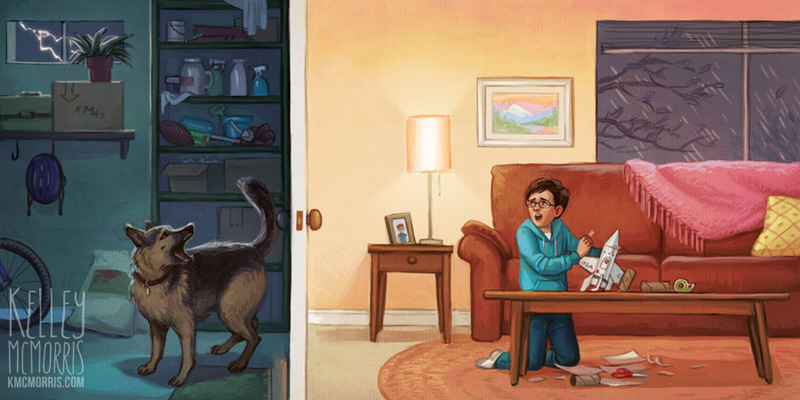 The second illustration description said, "Bailey is cautiously opening the door that leads from the house to the garage. 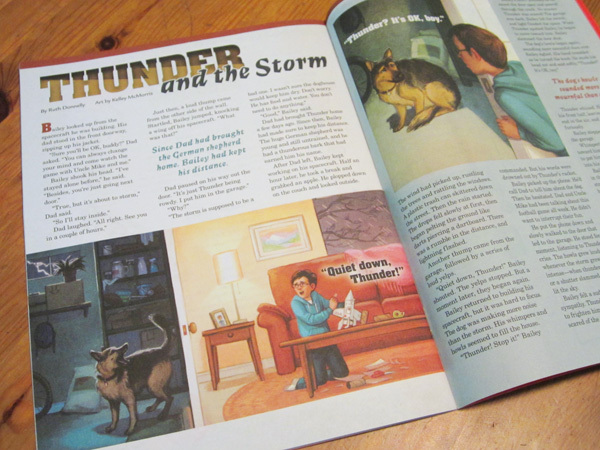 Inside we can see Thunder, who is cowering from the storm but seems to be noticing Bailey." 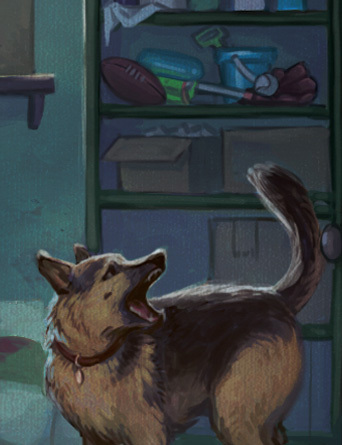 It was surprisingly hard to find reference photos of German shepherds looking frightened. Maybe they're just so big and fierce that they rarely feel scared about anything.